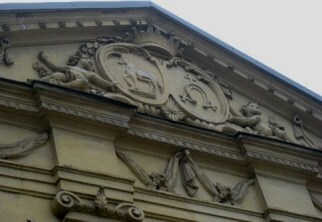 The Palace at Nakło is operated under the auspices of Fundacja Nakielska (The Nakło Foundation). We engage in activities supporting our community — educational and economic development, promotion of culture and good health, and much, much more. Our Charter sets out the purposes and goals of the organization. Unified text reflecting amendments made by resolution of the Management Board dated 2 June 2008. 1. The Nakło Foundation [Fundacja Nakielska] (the “Foundation”) was established by Marzenna Reyher (the “Founder”) by notary deed number Rep. A 67/2005 made on 7 January 2005 before notary Barbara Bryl with her office in Warsaw. 2. The Foundation operates pursuant to the Foundations Act of 6 April 1984 (Journal of Laws 1991 No. 46 item 203, as amended) and the provisions of this Charter. 3. The Foundation shall obtain legal personality upon entry in the National Court Register (KRS). 4. The seat of the Foundation is Nakło. 5. The duration of the Foundation is unlimited. 6. The territory of the Foundation’s activity is the Republic of Poland. 7. For proper realization of the Foundation’s purposes, the Foundation may conduct activity outside the Republic of Poland. 8. The Foundation may establish branches and other internal organizational units to conduct its chartered activity. 9. The Foundation may use a seal encircled by an inscription indicating its name and seat and containing the Foundation’s logo. 10. The Foundation may award certificates, badges and honorary medals to natural and legal persons for purposes chosen by the Foundation. The types of certificates, badges and honorary medals and the rules for awarding them shall be determined by Bylaws adopted by the Foundation Council. 11. The Foundation may seek the status of a public benefit organization. 12. The proper minister with respect to the Foundation’s purposes is the Minister of Economy and Labor. 6) initiating and supporting actions on behalf of environmental protection, particularly protection of the environment in the Nakło region. 10) cooperation with state and social institutions and individuals active on behalf of and in the area of environmental protection. 3. In addition to carrying out its own initiatives, the Foundation may cooperate with other institutions, organizations and persons in order to achieve common chartered purposes. Such cooperation may take the form of organizational support, partial or complete financing of an undertaking, or assistance in obtaining necessary funds from other sources. 4. The Foundation’s chartered activity shall be conducted for the general benefit of the society. 5. The Foundation shall not conduct economic activity under rules provided for in the Charter. 14) physical well-being activities (96.04.Z). 2. Any income of the Foundation derived from conducting economic activity may be used solely for realization of its chartered purposes. 3. The Management Board of the Foundation shall establish rules for conduct of economic activity by the Foundation and shall be responsible for such activity. 4. Before commencing economic activity of a given type, the Foundation shall obtain any licenses or permits required by law. 1. The assets of the Foundation shall comprise financial instruments, real estate, movables and other assets acquired by the Foundation in the course of its existence. 2. The founding fund provided by the Founder is PLN 3,000 (three thousand Polish zloty). The Founder shall provide an additional PLN 1,000 (one thousand Polish zloty) for economic activity. 5) income from real estate, movables and other property. 4. The Foundation’s entire income shall be used for chartered activity. 5. When providing assets to the Foundation, a donor may restrict use of such assets for a specific type of activity of the Foundation. If a donation is made without specifying the purpose for which it is to be used, the Foundation may use it for any chartered purpose. 6. The Foundation shall conduct its financial and accounting policy in compliance with rules set forth in separate regulations. 1. The authorities of the Foundation are the Foundation Council and the Management Board. 2. The Foundation Council shall comprise from three to five members. Members of the Foundation Council are appointed for an indefinite period. 3. Members of the Foundation Council, subject to section 4 of this chapter of the Charter, shall be appointed and dismissed by the Foundation Council by inviting new members to join them. Membership in the Foundation Council shall expire upon death or resignation. 4. The members of the initial Foundation Council shall be appointed by the Founder. 5. Members of the Foundation Council may not serve as members of the Management Board at the same time. 6. A person convicted of an intentional crime by a legally final judgment may not serve as a member of the Foundation Council. 7. The Foundation Council shall elect from among its number a Chairman of the Foundation Council, who shall direct the work of the Foundation Council, and more specifically convene and chair sessions of the Foundation Council. 6) adopting resolutions on matters reserved to it under the Charter. 9. Detailed procedures for operation of the Foundation Council may be set forth in Bylaws adopted by the Foundation Council. 10. The Foundation Council shall perform its work at sessions convened by the Chairman of the Foundation Council at least once per year. The Foundation Council shall notify the Management Board about each session. 11. Members of the Management Board are entitled to participate in sessions of the Foundation Council. 12. Resolutions of the Foundation Council shall be adopted by a simple majority of votes, regardless of the number of members of the Foundation Council present at the session. The Chairman of the Council must participate in the session, however. In adoption of resolutions, the Chairman of the Council shall hold two votes. 13. The Management Board of the Foundation shall direct the activity of the Foundation and represent it externally. Each member of the Management Board is authorized to make declarations of intent on behalf of the Foundation individually. 6) setting the level of employment, pay rules and amount of funds for salaries and bonuses for employees of the Foundation. 15. The Management Board may appoint a Program Committee, as an advisory body, comprising distinguished individuals recognized for their support of local initiatives, scholars, persons involved in culture, and other persons focused on the ideals of the Foundation. 16. The Management Board shall comprise from one to three members. Members of the Management Board are appointed and dismissed by the Foundation Council, except for the members of the initial Management Board, who shall be appointed by the Founder. Members of the Management Board are appointed for an indefinite period. 17. Membership in the Management Board shall expire upon death or resignation. 18. The members of the Management Board may elect a Chairman from among their number. In the case of a single-member Management Board, the Chairman of the Management Board shall comprise the Management Board. 19. A simple majority of votes cast shall be required for the validity of resolutions of a multi-member Management Board. 20. The Foundation Council may award the members of the Management Board a fee for performance of their duties. 21. In agreements or disputes between the Foundation and members of the Management Board, the Foundation shall be represented by the Chairman of the Foundation Council. 1. Amendments to this Charter, including amendments involving change or modification of the purpose of the Foundation, shall be made by the Management Board by unanimous resolution. 2. The Foundation may be liquidated after exhaustion of the funds and assets of the Foundation or as a result of achievement of its purpose. A decision on liquidation of the Foundation shall be made by the Management Board in the form of a resolution, which resolution shall require ratification by the Foundation Council, in compliance with the conditions provided in the Foundations Act. 3. In the event of liquidation of the Foundation, the assets of the Foundation shall be transferred to another entity whose purposes are the same as or similar to the purposes of the Foundation. Selection of such entity shall be made by the Foundation Council. 4. Liquidation shall be conducted by a liquidator appointed by the Management Board. If the Management Board does not appoint a liquidator, the liquidator shall be appointed by the Foundation Council. This Charter shall go into effect upon legally final entry of the Foundation in the National Court Register.